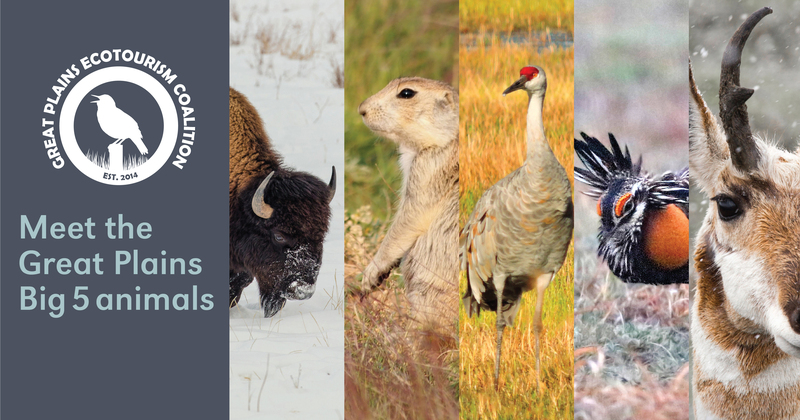 Our readers and conference attendees have decided on the Great Plains Big Five! Similar to the African Big Five (African elephant, cape buffalo, leopard, lion, and rhino), this list should serve as a call to action for travelers to explore the Great Plains region and see these animals with their own eyes (and cameras). We had Visit the Prairie readers choose the nominees and the attendees of our recent Plains Safaris conference vote on the final winners. Our instructions were to choose the animals people should make sure to learn about when they travel the Great Plains. Here are the winners.